Gently meandering through lavender fields and quaint hillside villages is just one of the joys of a cycling holiday in Provence. As far as we're concerned, eating and drinking in some of the best restaurants the region has to offer is just as important. After a day of admiring the scenery from your saddle, you'll certainly have earned your dinner. Provence is a region renowned for its sun-ripened vegetables, singingly fresh herbs and unctuous olive oils. And don't get us started on the seafood. Wherever you dine, you're bound to enjoy the experience. That said, you can really make it count by booking in for a meal at our three absolute must-eat destinations. This traditional French restaurant is set in a 19th Century French farmhouse on the outskirts of the town. 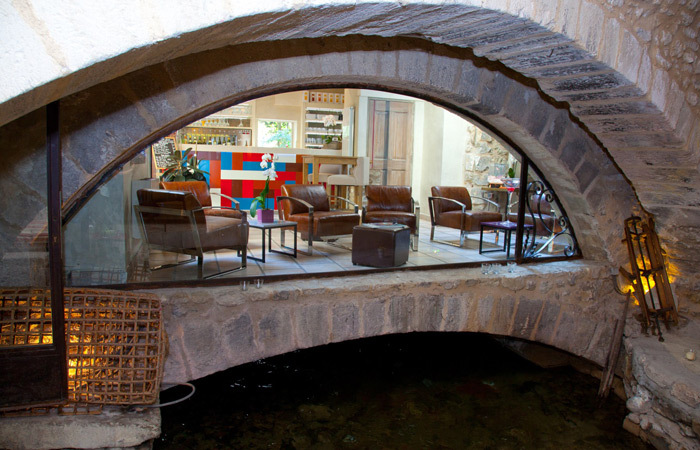 It has a relaxed and romantic atmosphere – ask for a table in the garden for a spectacular setting among olive trees and hackberries. Not only will your meal be lit by candles, on clear nights you'll be able to spot the spectacular stars that inspired Vincent Van Gogh (we don't call the tour Starry Nights in Provence for nothing). Chef Yvan Nawrocki offers two tasting menus that change every day, based on what's fresh at the local market. Expect dishes such as trilogie sur la langoustine (langoustines cooked three ways), herb-crusted rack of lamb and duck cooked with raspberries. Chef Jean-Marie Alloin serves up Mediterranean and Provençal cuisine, lovingly made with local produce. Expect rustic dishes like homemade fois gras and rillette accompanied by a dry fruit chutney, or rabbit saddle stuffed with mushrooms. You can upgrade your order to include three glasses of wine specially selected by the sommelier to match your dinner choices. There are also a couple of seasonal tasting menus to choose from, including one that celebrates the local truffles. It also includes champagne and lobster – a fabulous way to end a day on two wheels. As for location, we suggest opting for a table overlooking the river. If the weather's not cooperating, you'll still enjoy a convivial atmosphere inside beside the roaring log fire. 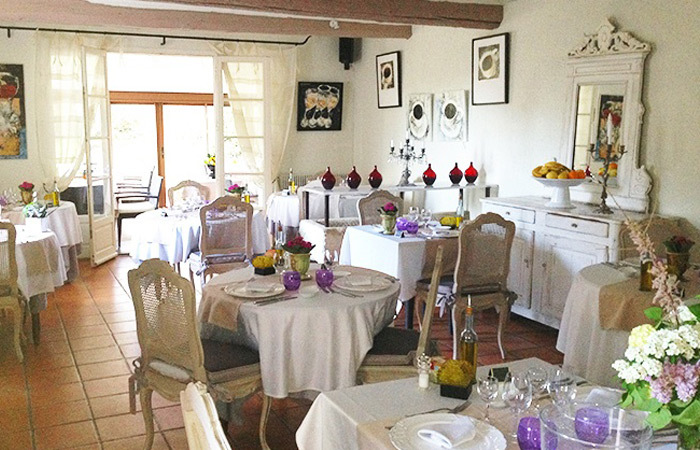 The Luberon Hotel's Restaurant David also serves up elevated local dishes. It has two tasting menus to choose from, as well as an à la carte. This features dishes like shoulder of lamb confit with chanterelle mushrooms and gratin dauphinois. There's also a prix-fixe lunch menu which is exceptional value for money. 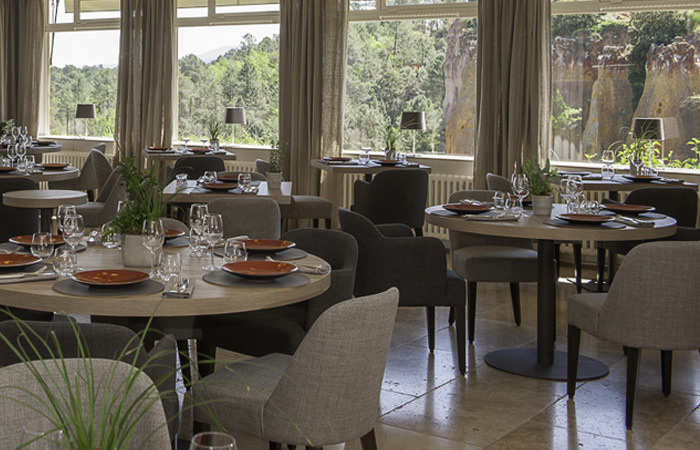 The food at Restaurant David is superb, but it's the view over the cypress trees and ochre sandstone cliffs that keeps us coming back. Dine under the wisteria on the terrace and soak up the magical surroundings. We recommend booking an outdoor table for early dinner – it would be a sin to miss out on sunset. After tucking into five courses of this fine fare, you'll be more than ready to burn it off in the morning – and work up an appetite for another unbeatable restaurant in the evening. Discover all our Provence trips here.